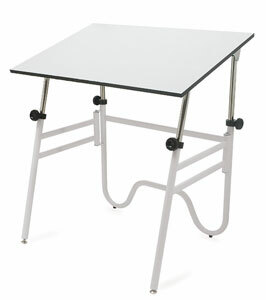 Alvin's extremely versatile Opal Drafting Table is designed to solve all space and transportation problems. It features a beautifully functional oval and round tubular base that is designed for stability. Opal's warp-free, Melamine® treated top adjusts from 0° to 45°. 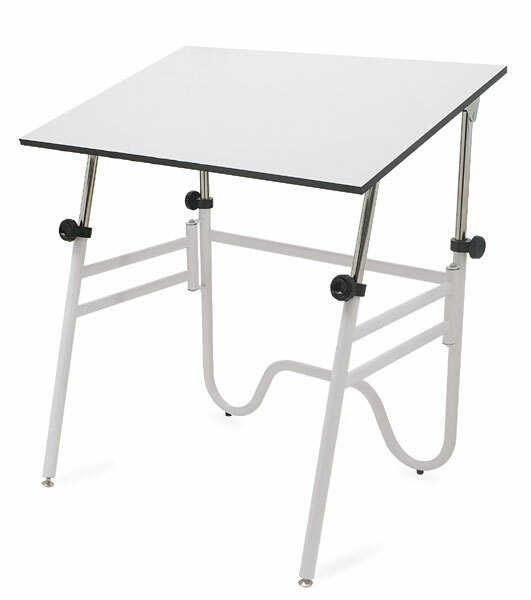 Use the easy-grip knobs to adjust the table's height from 29" to 44" (from 74 cm to 112 cm). The Opal is available in in three different sizes, with either a black or white base. It folds flat for storage. Some assembly is required.